Training can be an underestimated and undervalued asset within a business, often seen as more of an expense than the investment that it truly should be. If you’re a corporate learning & development specialist or a trainer within your organization, you may feel the struggle of trying to justify your needs to higher management, based on their perceptions of training. Training is an incredibly valuable resource to your business when it’s harnessed effectively and conveying this message to upper management is increasingly crucial. Let’s dive into the reasons corporate learning tends to be undervalued and 3 ways you can defend the value of your training by changing the mindset of your C-suite. Why is corporate learning undervalued? It’s difficult to connect learning advances to success in the organization. 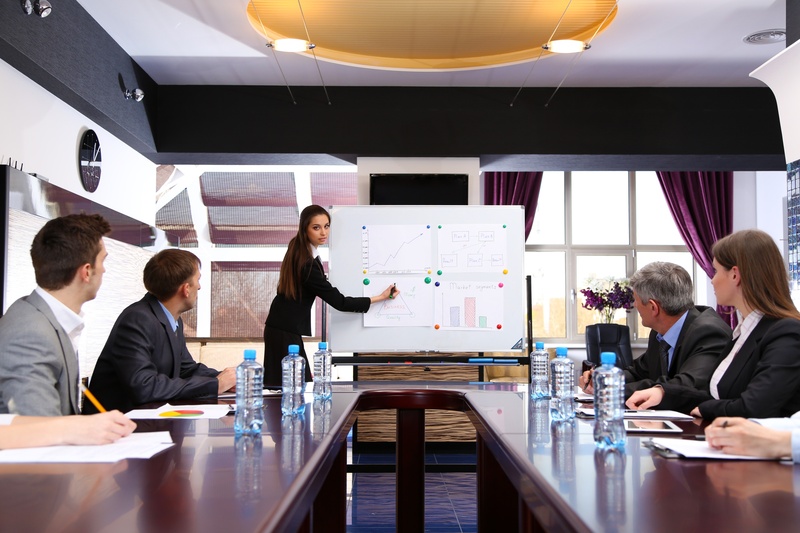 Training executives typically aren’t involved in budget sessions and don’t often get to voice their financial needs or concerns. It’s challenging to show solid measurements that can actually track the impact of learning and training. The common perception is that training isn’t proactive, it’s more reactive, thereby it’s seen as cost versus an investment from executive standpoints. First, you must understand the executive’s mindset. Why is proving the value of training a concern for executives these days? Is it an issue of employee skillsets, problem with the training itself, a core problem in the business? Whatever the concern, finding out what it is and addressing it will be key to getting your executives on board. As an example, a CEO might be concerned with the effectiveness of the company training if he is seeing a pattern with employees resigning within the first 3 to 5 months of hire. As a training and development professional, your number one priority is to change the training program and then to analyze the employees as they transition into the field. Your analysis will help you address the CEO’s concerns and rework the training process simultaneously. When he sees the trend of resignations improving, he will be more likely to support training more heavily. Focus on measuring the effectiveness of training. Results of training are no longer based on virtual attendance, since this is easily to manipulate and does not in any way measure the ability to apply training. These days, the only way to truly justify and measure training is by analyzing the actual retention and application of the knowledge gained. The only way to do this is by continuing to test and encourage your employees long after they’re out of training. When you can bring back hard, measurable data to your C-suite about the retention and application of the training knowledge, this is when they really see the worth. According to this article from ICMI, it’s effective to seek measurements in areas like learner reaction and behavior. To do this, areas like role-playing/scenarios, skills assessments and collaboration work great. Get the role plays on video so you can share when and where you need to for highlighting trainee progress. Use gamification to perform skills assessments and share the results with your execs. Use collaboration and peer to peer interactions to even further the scenario work and to encourage training to continue even once employees have transitioned into their roles. Be transparent and cooperative with your executives. The best way to lose the support of an executive is to keep them out of the loop. You may think you’re doing him or her a favor, (they have so much on their plates, after all) but keeping communication open and being transparent is the best way for the executives to understand what you’re working on. Give them updates even when they don’t ask for them, ask for and include their input into your plans and programming, and above all, make sure everything you implement is relevant to their training concerns. Continually addressing the root of the concerns harboring in the executives’ minds is the best way to let them know you’re on track and working for a solution. Training is obviously a necessary piece of the business model, but explaining its worth and value to your executives can be tough. Make sure you keep their concerns in mind while you construct a strategic plan to address them. Executives want positive results. Do everything in your power to get them!